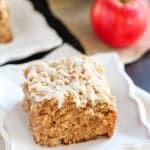 Apple Crumb Cake – A moist cake filled with fresh apples, apple butter and applesauce, topped with a crumbly brown sugar topping and finished with a drizzle of icing. This flavorful cake can be served for breakfast or dessert. Is it Friday yet? This week has felt exceptionally long. Our 1 year old, Juliette, is cutting 3 molars, and it’s been a rough couple days. She is having trouble sleeping and she wants to be held constantly. When my back is aching, I’m trying to wash dishes one handed, and the day is dragging on, I have to remind myself that these days won’t last forever. In the not-so-distant future I will long for the times that I would carry her around. Our sweet girl is growing so quickly. My how time flies! Well enough about me, let’s talk about cake! 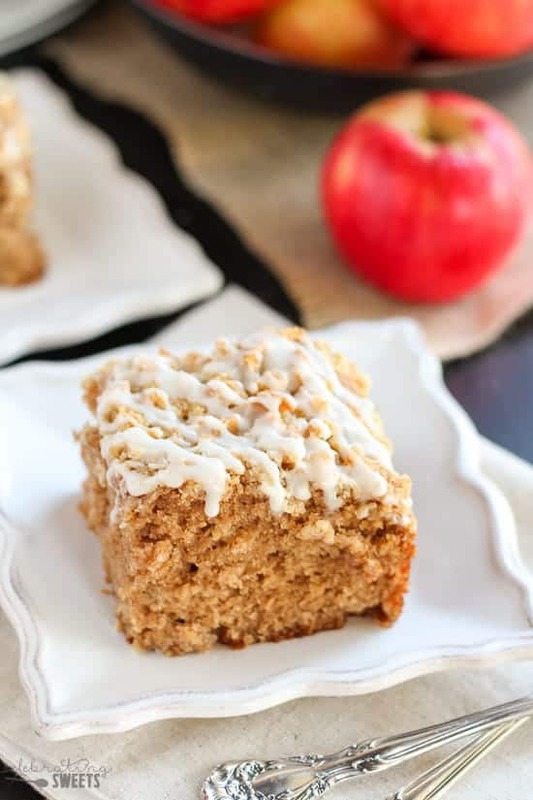 Every fall, apple cake is on my “must make” list. 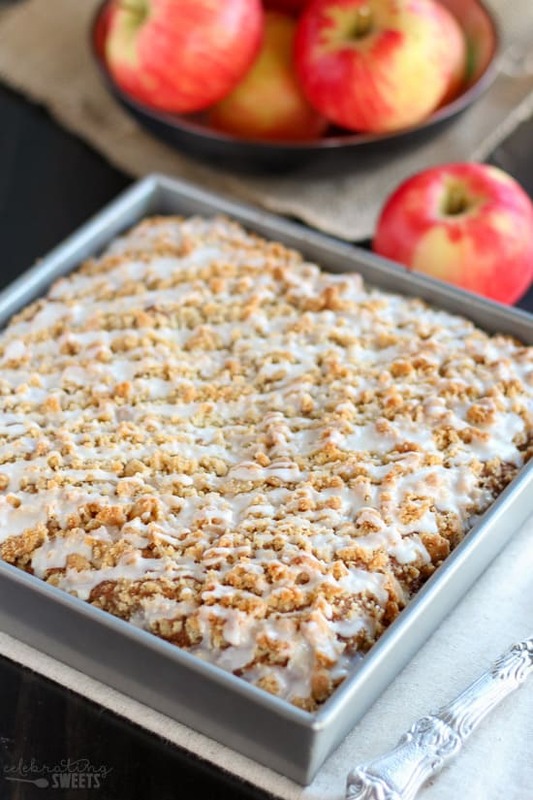 This year I was craving an apple crumb cake. You know I’m a sucker for crumb topping. The crumb topping adds the perfect amount of texture to this super moist cake. I made sure the apple flavor was prominent by adding fresh apple, apple butter, and applesauce! 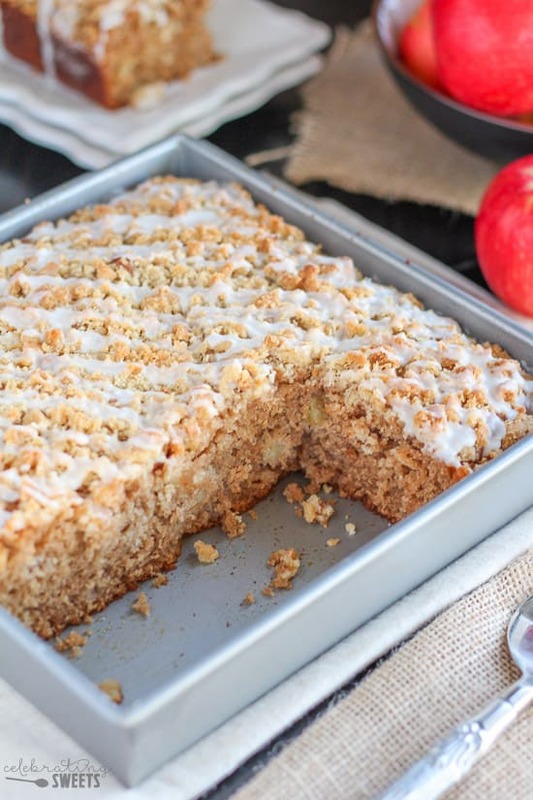 All that apple flavor is complimented with just the right amount of apple pie spice. The cake is drizzled with vanilla icing, which makes the cake extra pretty and imparts a subtle vanilla flavor. This cake is great for the upcoming holiday season. 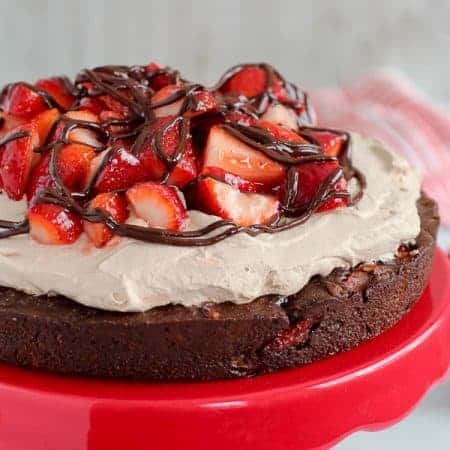 It can be served for dessert or for breakfast (I say there’s enough fruit in there to make it breakfast-worthy), and it’s perfect mid-day with a cup coffee. This cake is also a go-to if you’re hosting overnight guests. Leave it sitting on your kitchen counter and allow your guests to help themselves. It will disappear. 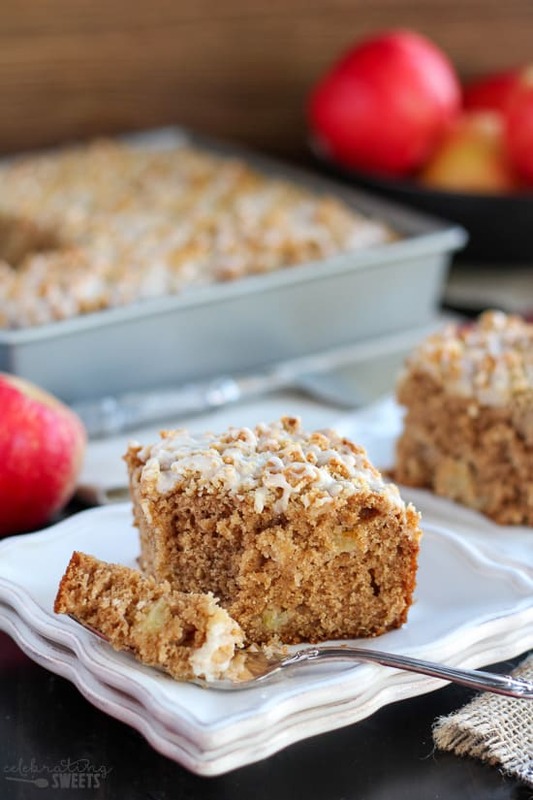 A moist cake filled with fresh apples, apple butter, applesauce, and apple pie spice, topped with a crumbly brown sugar topping and finished with a drizzle of icing. This flavorful cake can be served for breakfast or dessert. In a small saucepan, melt butter over medium heat. Whisk in brown sugar, salt, and pie spice until smooth. Remove from heat and stir in flour. Set aside to cool while you prepare the cake batter. Preheat oven to 350°F. Grease a 9x9 square pan. In a large bowl, whisk flour, sugar, baking powder, baking soda, pie spice, and salt. In a separate bowl, whisk eggs, oil, apple butter, and applesauce. Add the wet ingredients to the dry ingredients, and stir until combined. Fold in the diced apple. Pour batter into the prepared pan and crumble topping onto the batter. Bake for approximately 30 minutes, until a toothpick inserted into the center comes out clean. Whisk all ingredients until smooth. 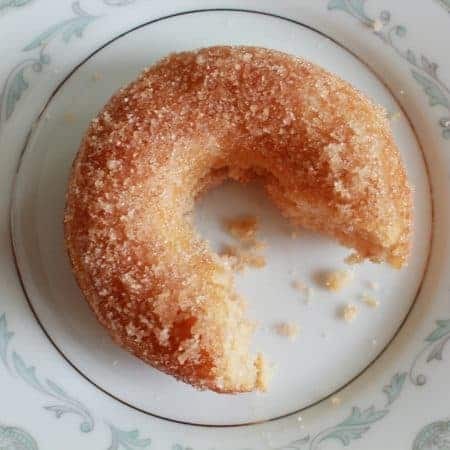 Add more powdered sugar or milk, if necessary, to reach your desired consistency. Drizzle the icing over the cake. You could probably swap applesauce for the apple butter, although the apple butter does add quite a bit of flavor. 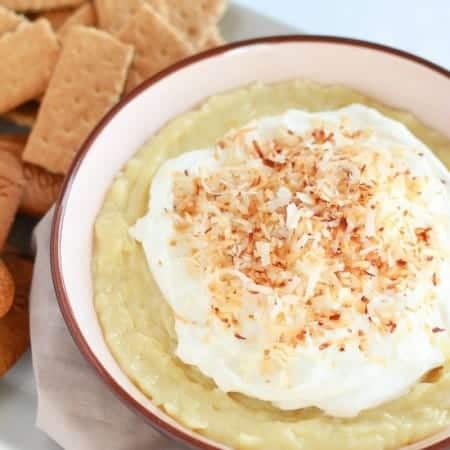 You can try swapping the apple butter for an equal amount of applesauce (this would be in addition to the other applesauce listed in the recipe). I haven’t tried this so I can’t say for sure, but it should work Good luck! This cake looks wonderful for a brunch or fun get together. This is one of my favourite cakes. So comforting and perfect with a bit mug of coffee. First, I’m drooling over this cake! I love that drizzle of glaze on top. Second, my kids are young adults away at college…and I think about the good old days when they were little all the time! This. Looks. Heavenly. Anything with crumbs all over the top, please and thank you! And gorgeous photos!